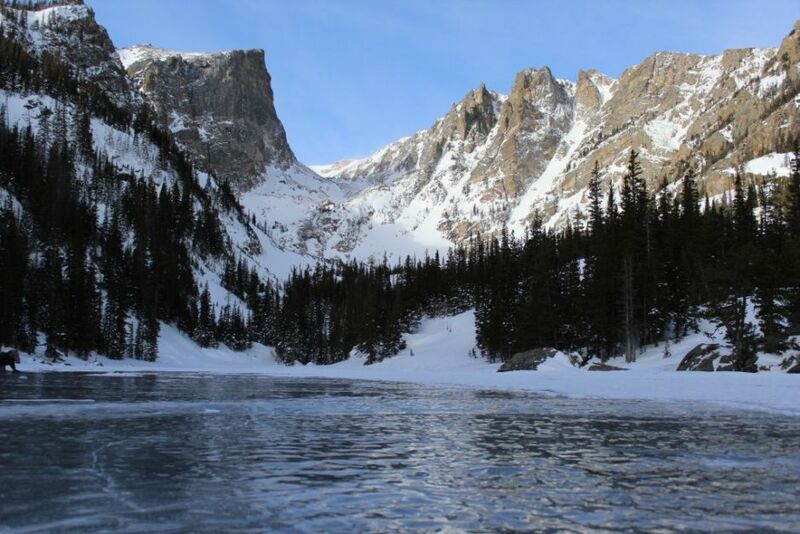 The busiest season in Colorado’s Rocky Mountain National Park is summer, but the park is equally if not more breathtaking when blanketed in snow. The park roads are less busy and there are plenty of opportunities to hike, snowshoe, or cross-country ski. 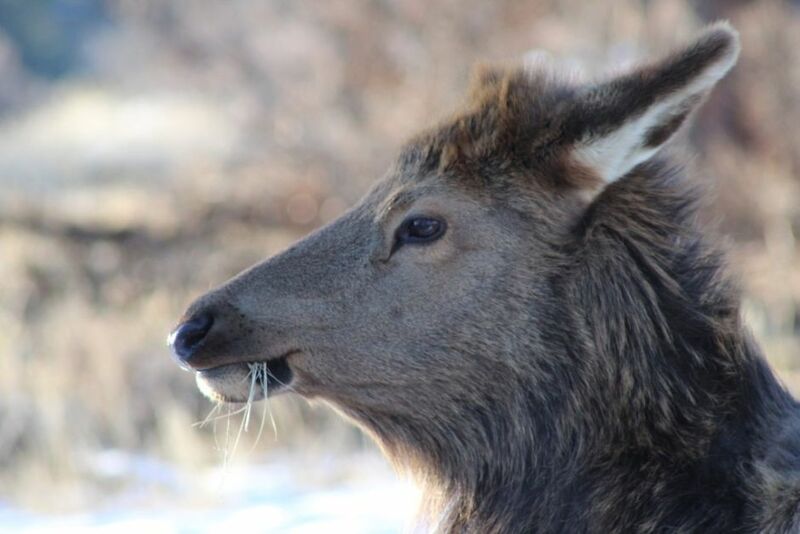 Not to mention herds of elk can often be spotted in the park and sometimes walking through the neighboring town of Estes Park. 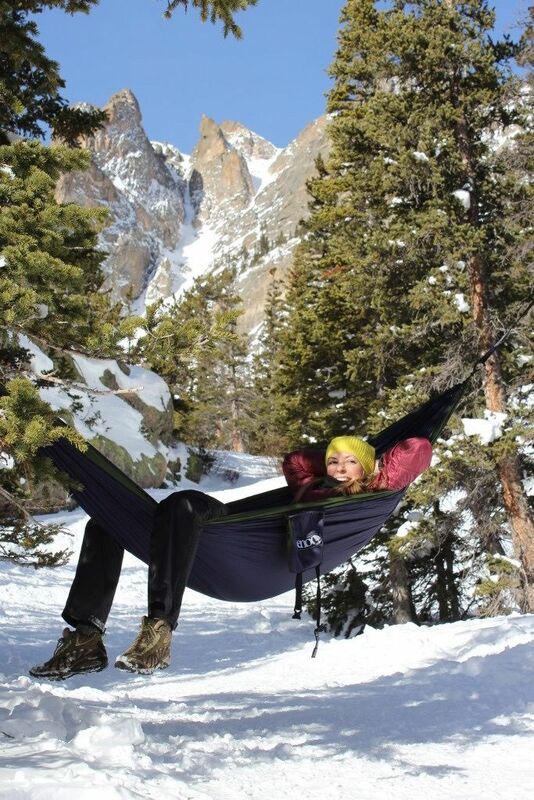 The following photos were taken on a January trip to Rocky Mountain National Park in 2016. 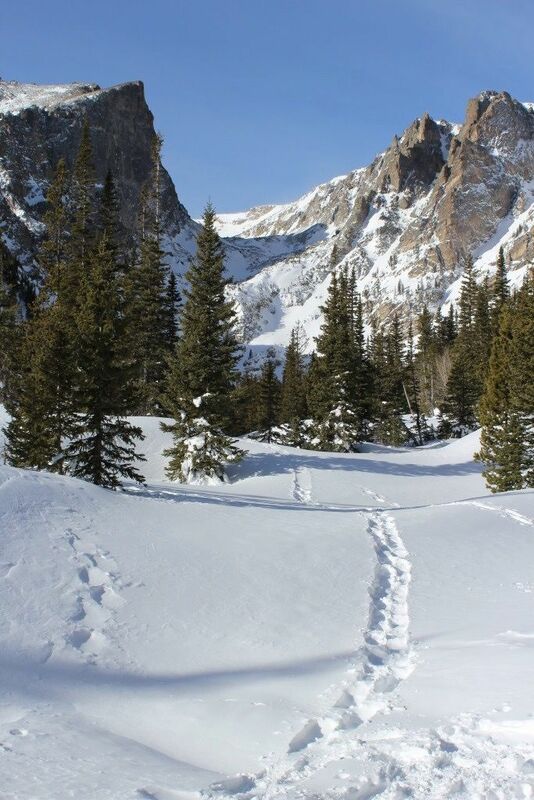 The hike to Dream Lake is one of the most scenic winter hikes in the park. 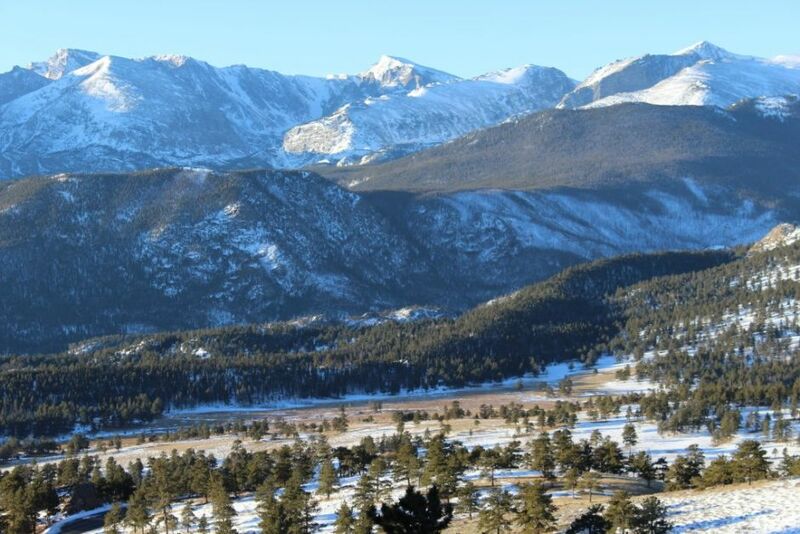 View of the Continental Divide from Deer Mountain. 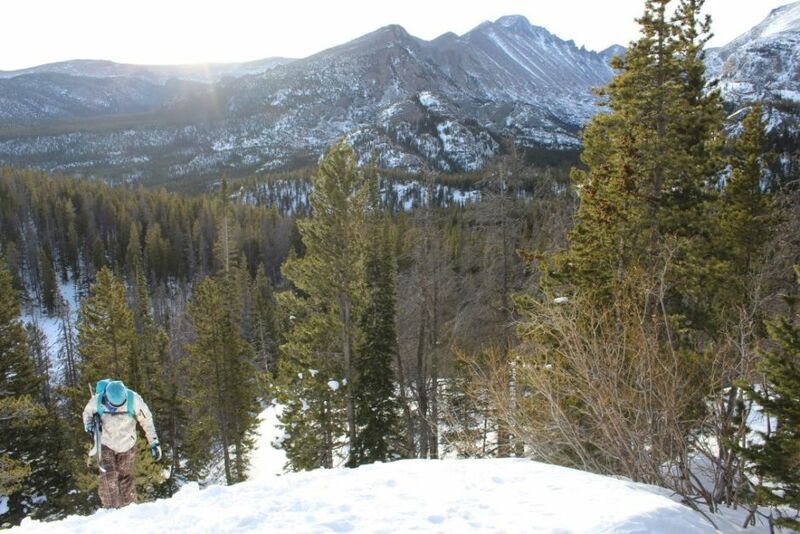 A cross country skier climbing one of the steeper sections of the Dream Lake Trail. Dream Lake is one of the most iconic views in the park any time of year. 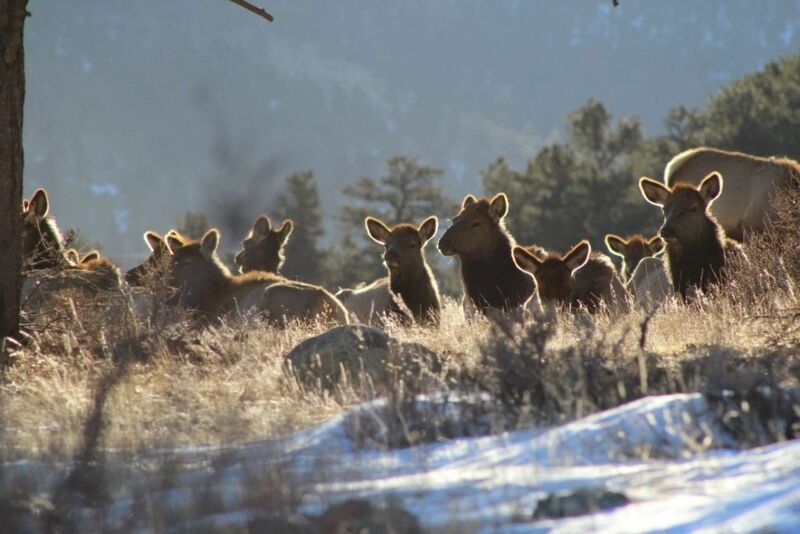 This herd of elk was lounging just outside of downtown Estes Park. Female elk in Estes Park.